We researched the best camping tents and aggregated that data. Here's our findings. 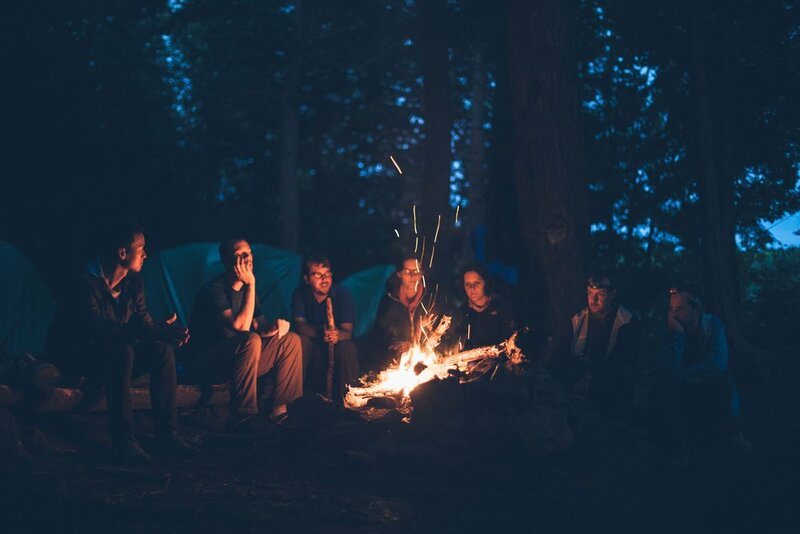 After checking dozens of review sites and hundreds of customer reviews - and considering our own professional experiences teaching kids and teenagers about camping- we put together a list of stand-out camping tents. The right family camping tent is critical to getting a good night of sleep, weathering a storm, or having the right place to play cards and eat a meal. One of the best ways to move from "surviving" to "thriving" is a well-ventilated, durable 4-person tent (or 6-person tent) to sleep in. The Eureka Boondocker features a generous vestibule that can fit bikes, camp chairs, or anything you want to keep out of the rain or morning dew. Eureka consistently produces reliable tents at affordable prices, perfect for families and groups. The Eureka Boondocker continues this tradition, with a few innovative twists that knock it out of the park. You’ll notice Eureka makes up two of our recommendations. Eureka has been a decades long-respected group camping tent company with a storied history. The first summit of Everest was with a Eureka, and I know several youth outdoor programs that have been using their classic A-frame for a decade. The Boondocker features two large doors, a 6 ft peak, and near vertical walls that FamilyCampTents.com notes “allow for the use of bunk cots.” Cots are elevated beds - tents with angled walls end up in your face if you use cots, but straight walls give you room to breath. The rain window can be zipped up from the inside, which many reviewers appreciated. In contrast, many inferior tents required you to go outside to seal waterproofing up. The Boondocker ’s rainfly covers the entire tent, with a durable structure that should hold up in all but the most extreme storms. While this is common in backpacking tents, it happens far less with camping tents. The Eureka Boondocker Hotel tent vestibule as viewed from the sleeping area. But far and away the coolest feature of the Boondocker is its “garage vestibule.” This can hold a bike, a small boat, a few chairs, or all your gear. You can even roll up the side and turn it into a sun shade. “Boondocking” is a common term in the outdoors for setting up long-term camps in the wilderness (often in an RV). This tent can help you simulate that for a fraction of the price of a camping vehicle. We’re not the only ones to think the Boondocker is the best tent for most people. Outdoor Gear Lab ranked it #4 on it’s list of 11, and says “this is a different tent, but different can be good." Man Makes Fire called it “one of the most versatile and liable ??? 6-person tents” and a “can’t go wrong” pick. FamilyCampTents.com ranked it 8.3/10. We also like that the Boondocker has floor-side pocket for each person it can fit (6 total) and comes with a “gear caddy,” a portable mesh bag that can hold anything from headlamps to dirty laundry. The caddy hangs right inside the tent, but can be carried around camp as well. The Boondocker tent has generous headroom to stand inside. Our biggest concern with the Boondocker is the price. Still, you can get it for about 25% off at certain retailers. For more budget minded folks, look to our other recommendations. However,this generously-sized, well built tent will serve you well for many years if you’re looking to take extended camping trips. Remember our math above - if it lasts 10 years (it should) and you use it three times a year on a weekend at full capacity of 6 people, the price breaks down to $3.80 per person, per weekend. A few words of caution - the Boondocker is a solid three-season tent. Like all the camping tents we considered, it may not handle winter conditions well. But senior editor Brandon Lampley notes that tent manufacturers base season ratings on a tent's ability to survive a snow load, and secondarily, high winds. This tent well perform well in spring, summer, and autumn conditions. It’s heavy on mesh - great for ventilation and views of stars when the rainfly is off. The author used the Eureka Copper Canyon with the rain fly removed on a trip to teach kids camping skills. Photo courtesy Micah Leinbach. The Copper Canyon is an affordable family tent that fits four people. Photo courtesy Micah Leinbach. With its Copper Canyon series, Eureka has developed an affordable, quality family camping tent for mild conditions - think the summer, and possibly a warm part of the spring or fall. It comes in 4, 6, 8, and 12 person tents. We reviewed the 4 and the 12 person versions. The Copper Canyon is a standard cabin tent: comfortable and large enough for “3 children…[to] walk (well, run) around inside the tent” according to reviewers on Busted Wallet. It’s also affordable. It’s hard to find a quality cheaper tent (there’s one - read on). This is the real perk of the Copper Canyon . As Mountains For Everybody put it on their review, “the price and quality combination you have here is hard to match.” While you can find similarly designed cabin tents, almost all of them will cost more or have a less reliable warranty. The Eureka Copper Canyon has generous low storage pockets, which are helpful for for floor sleepers to access items like headlamps, glasses, and midnight chocolate bars. The pros of the Copper Canyon are simple: it’s massive, easy to set up, and sets up fairly quickly for a cabin style tent (10 minutes according to most reviewers. In comparison, you can expect as much as 15 to 20 for other comparable large tents). Plus, it is affordable. The Copper Canyon carries plenty of storage in the form of pockets higher in the tent (accessible for cot users)and a hanging mesh storage pocket in the middle of the tent. Particularly impressive, Eureka has solved an age-old problem of tangled guylines on the rainfly by building in a small pocket for each line, so they don’t get tangled during set up. The Copper Canyon is well-loved by other professional reviewers, too. 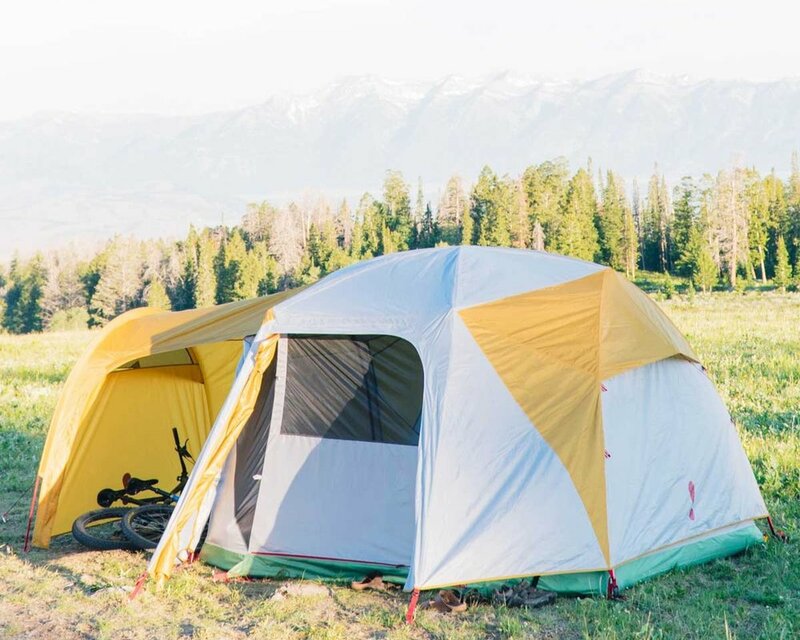 Wirecutter called this tent “the best car camping tent for most families.” BustedWallet gave it an 8.8/10, and Mountains for Everybody an 8.4/10. The cons of the Copper Canyon are worth noting before you buy: the price comes at the expense of materials. This is not a wilderness tent, or one designed for bad weather. You’ll want to be gentle when packing, unpacking, and setting up poles. Though it’s fairly durable once set up, you wouldn’t want to weather an extreme storm in it. It’s a fair weather tent that needs to be treated with some gentleness. The Alps Mountaineering tent on a spring backpacking trip in the deciduous forest of Ohio. Photo courtesy Treeline Review reader Bobbi Walters. One of the big challenges with camping tents - especially the others we recommend - is that they are just camping tents. Many camping tents are too big and heavy to be easily carried in a backpack. That’s where the Alps Mountaineering Lynx comes in to solve that problem. As a brand, Alps Mountaineering has consistently produced affordable, reliable backpacking gear. Their tents have been a staple of some of my programs, and stand up to the “teenager test,” rarely breaking despite repeated use by novice 13-year olds. The Lynx is made in this tradition. The Lynx is more snug than other family camping tents, but still large enough for one reviewer to put a full size foam mattress, pillow, and tote of clothes into it. It’s not as light as other backpacking tents, but it’s light enough to carry, especially when split between four people. This balance is what makes the Lynx a great deal. The author uses the Alps Mountaineering tents on a educational programs to teach kids and teenagers camping and backpacking skills. Photo courtesy Micah Leinbach. Backpackers.com compares it to the Copper Canyon, which we also recommend, but says it is better for backpacking. They say, "it’s not a sprawling four-person area, but can fit four adults if necessary. Three is more comfortable. If any of the people are children, you’ll be fine." There aren’t any major cons (other than weight—and it’s still the lightest camping tent we considered). It comes with a Limited Lifetime Warranty. Affordable, easy to set up, and capable of handling the weather or trails, the Lynx is a great option for a small family that wants to keep the door open to camping further from the car than the Copper Canyon allows. Inevitably, tent purchasers will discover the Coleman Sundome, and for good reason. It comes in 2, 3, and 6 person sizes, and it can be found for anywhere from $40 - $100. At that price, it’s hard to ignore. Price is ultimately the Sundome’s greatest perk, and it is not without other pros. Mountains For Everybody ranked it an 8.5/10 (though mostly for price). Online reviewers collectively said a few versions of “not bad” - calling it “great for light to medium duty use,” but not a heavy camper. That’s essentially true - it’ll work in the backyard or summer sun, but we would not recommend it for much else. If you choose to camp with the Sundome, use it in dry areas with low wind and no weather in the future. Here, the author uses the Sundome as part of an outdoor education camp he is teaching. Photo courtesy Micah Leinbach. Before you jump at the price, be very thoughtful about the kind of camping you need to do and the Sundome’s limitations. It is barely 5’ at the top, hard for most to stand in. And with only one door, getting in and out will likely involve climbing over others. Perhaps the Sundome’s biggest flaw is that it lacks weather protection. The rainfly barely covers the tent. While it appears to have a solid bathtub floor, Mountains for Everybody reports that "the biggest drawback was that it leaked in the corners when we water tested.” They cite a flimsy duct tape material that was peeling upon purchase. The Sundome has pockets that hang on the inside halfway up, but they are modestly sized and will only hold a few items. And with only one door, getting in and out will likely involve climbing over others. The Coleman Sundome camping tents are fine for beach and backyard tents, but lack of the durability and weatherproofness of the other tents we considered. Here, the author used the Sundome as part of an outdoor educational program that he led. Photo courtesy Micah Leinbach. My own experience confirms this. We used the Sundome on our trips with teenagers at a previous outdoor educational program that I ran. Most of the Sundomes broke after a few uses. We decided that the Sundome would be our standard “beach and backyard tents.” We never took them on the road for camping trips away from more robust facilities. Still, the price is good and the Sundome does work. It just works best on sunny days, warm nights, and barely any wind or rain. For a cheap backyard outing to get your kids used to tents, it’s hard to beat. For an extended camping trip in uncertain conditions, we’d recommend any of the other tents in this story over the Sundome. The author with the Bus for Outdoor Access and Teaching, a mobile adventure education program aimed at reducing cost and increasing accessibility of outdoor education. Photo courtesy Micah Leinbach. I run BOAT (the Bus for Outdoor Access & Teaching), a non-profit focused on helping make it easier for people to get out on camping trips. As a guide and program administrator, for the last decade, my teams have set up, slept in, broken (and fixed!) a lot of tents. I’ve taught many outdoor first-timers to do the same. In this story, I rely on both my experience with campers and meta-review research to find the best camping tent for most people. We scoured the internet for customer and professional reviews of camping tents. To make our contender list, each tent had to have received multiple positive reviews from both users and outdoor media. In addition to professional reviews, we looked at customer reviews from retailers like Amazon and Backcountry.com. Websites included Outdoor Gear Lab, Expedition Portal, Backpacker.com, MountainsForEverybody, GearInstitute, and FamilyCampTents. We then incorporated our own experience taking groups of teens (the ultimate test of gear durability) out on multi-day expeditions. 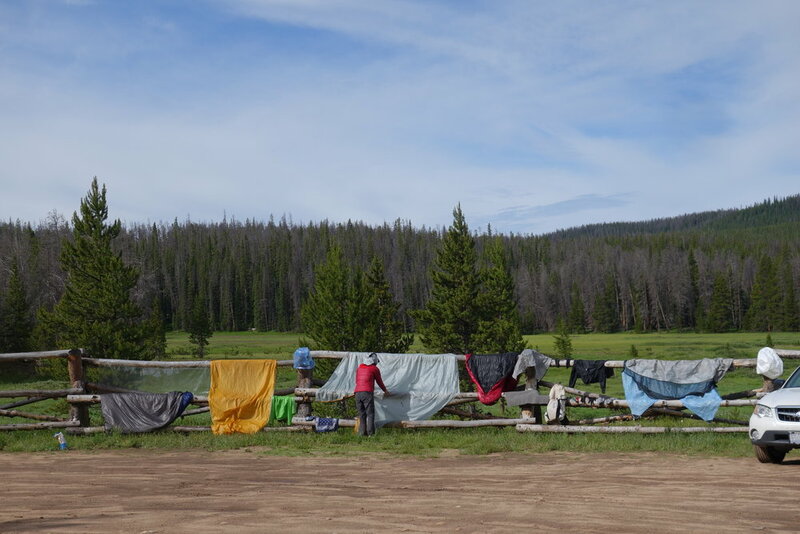 Drying out gear is the most important thing you can do to ensure the longevity of your camping tent. Photo courtesy John Carr. Mildew will form on the tents if you store it wet and it only takes a few days. The dark blotchy spots mildew leaves behind can delaminate waterproofing and ruin fabric. Plus the smell is unpleasant. After every trip, I’ll set up my tent up inside or in a yard or park on a sunny day (if you need to stake it out) until it’s totally dry. Even if you can’t set it up in full, at least hang your tent out to dry. You can pack a tent wet if you have to. But you should try to unpack it and dry it out that same day (and certainly by the next morning). Stepping on poles has to be one of the most common ways they break. Durable though they are, I have yet to meet a pole that can survive a boot. I typically solve this tripping hazard by leaning them up against a tree or in a bush, away from stumbling feet. This is especially true at night. Set some “house rules” - like no shoes in the tent. Open poles from the middle rather than the end. It will keep the elastic stretchier for longer. Pitch your tent out of direct sunlight (the UV will damage the fabric over time). Pitch your tent taught - but not too tight. Minimize the folds in the fabric but don’t stretch them. Shake out, sweep, and clean the tent after every use. Repairing your tent yourself is actually not too hard to do. (2) patch a hole in the fabric. Splints are metal sleeves that go around your tent pole, giving it extra durability when it cracks. The best solution for a tear is cutting a repair material into a circle that covers it. I find sticky nylon or athletic tape with seamgrip glue works well, but some folks settle for duct tape. 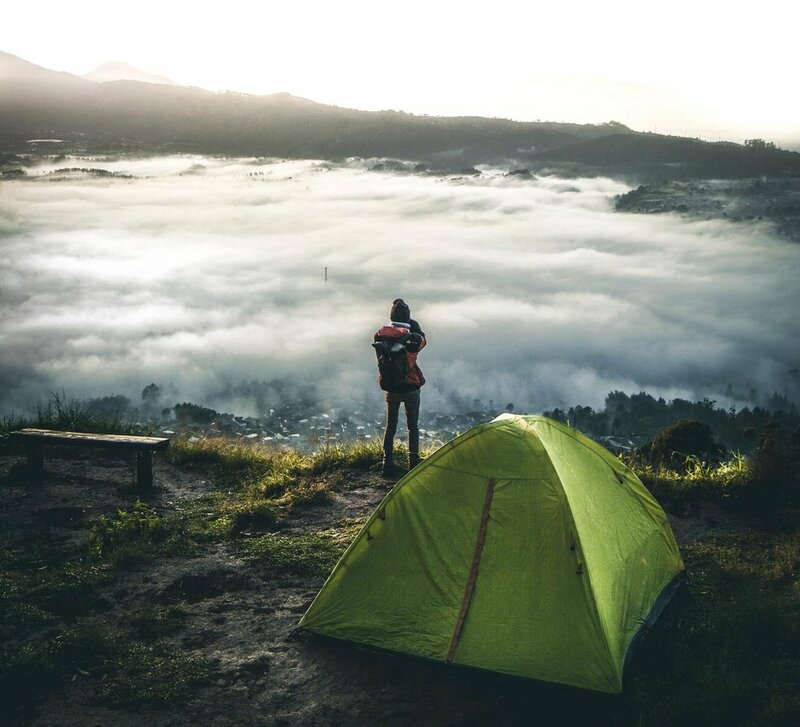 On foggy mornings or humid days, there may be extra moisture in the air that can condense inside your tent, giving an effect as if your tent is leaking. You may also think your tent is leaking. It’s possible, but first consider the alternatives. Your body produces a lot of condensation. If it’s not vented out, water droplets from your breath may collect on the inside of the tent. This is particularly true when humidity is high already or you are camping near water. Try better ventilation before assuming it’s an issue with the tent and you may just make yourself a more skilled tent sleeper. For zippers and anything beyond that, Annie Getchell’s Essential Outdoor Gear Manual is my go-to bible on equipment repair. If you’ve got a gear repair issue, it’s also worth checking with the manufacturer. While most don’t cover wear and tear in their warranties, some have fairly generous repair programs. If you use your tent for a couple of years, the most likely part to stop working is the elastic that runs through the poles and holds it together. Most tent companies will replace this for a nominal charge, or even just the cost of shipping. Eureka is great about this, one of the reasons they made our cut. I’ve been camping professionally for almost a decade in a range of conditions, and I teach people how to do so through BOAT. I try to learn from their experiences as well. I’m frequently amazed by how many times we learn a simple task that is actually a complex skill. Anyone can sleep in a sleeping bag, but you can actually get better at it. Anyone can turn on a camping stove, but you can actually learn to control temperatures and bake. Camping is full of these “easy to get the basics, hard to master” skills. Tents are one of them: Anyone can set up a tent - but you can make it neater, more stable, and safer. Once you have your tent, I encourage you to start learning how to better use it. Get acquainted to the best places to set it up (hint: watch for animal tracks, loose tree limbs, or flood paths and don’t set it up there!). Don’t be afraid to practice. In fact, do yourself a favor and take it to a local park to set it up in broad daylight. You'll learn how it works before you inevitably find yourself setting it up in the dark at a trailhead you’ve gotten to too late. Above anything else - water, fire, or food - our survival classes focus on the importance of shelter. Tents help you not have to worry about shelter. 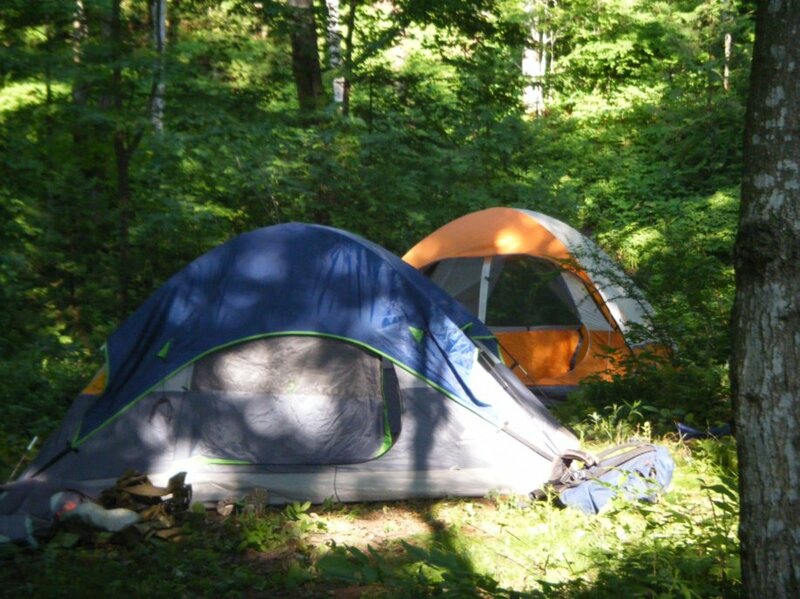 Enjoy the comfort and confidence tents can bring you, whether in a backyard or the backcountry!